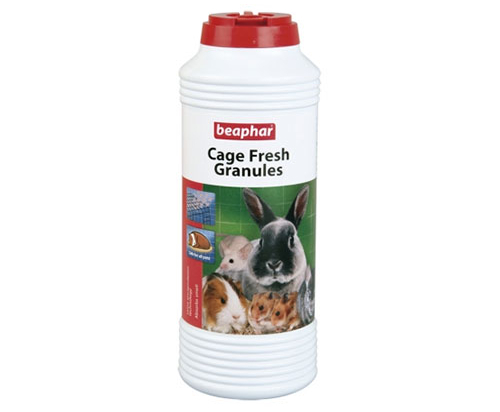 Sprinkle Cage Fresh Granules on the base of your pet’s cage or floor of their hutch, especially in any areas that they use regularly for their toilet. The product is best used just after cleaning before you put any wood shavings in, and while the housing is dry. Repeat every time you clean your animals out.